Since the dawn of time, mankind has been on a quest to take his surrounding environment and change it to a thing of greater beauty, greater durability, or to simply leave it somewhat better than it was when he found it. Nowhere is this goal more expertly realized than with the treatments of colored gemstones. An imperfect rough stone, taken from the earth and given the slightest of modifications, becomes a gem of breathtaking beauty. The earliest enhancements, and those of the simplest design, were the shaping and cutting of gemstones into round, marquise, pear, princess, and other shapes. These shape enhancements brought out the true brilliance of the stones by allowing natural light to reflect throughout the gem. The treatment of gemstones to improve color, clarity, luster, durability, brilliance, and value is a time-honored tradition going back at least to the time of the Minoans (2000-1600 BC), according to the research of C. Plinius Secundus. At that time, ancient jewelers were using some of the same techniques we use today, including heating, oiling, and dyeing to enhance the beauty of natural gemstones. 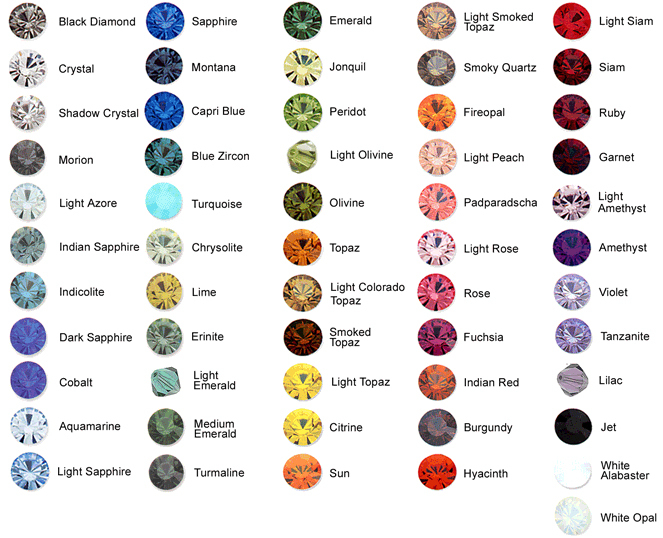 A large number of enhancement techniques duplicate natural processes that create beautifully colored gemstones. These natural enhancement processes include heating and irradiation. As time passed, and man became more expert in improving the natural beauty of what he discovered around him, additional treatments using irradiation, diffusion, and impregnation were discovered. These methods allowed men to draw forth the maximum color, luster, clarity, and brilliance that already existed in these natural stones. 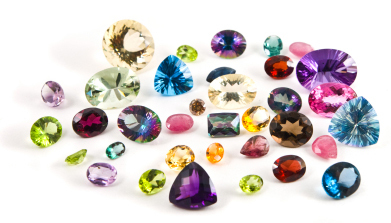 Eventually, man discovered ways to create gemstones that duplicate the natural gemstone’s chemical composition, optical nature, and physical beauty of the natural gems. These created gemstones are without the natural internal flaws and dull color that many natural gemstones are found with. The most notable of these created gemstones is the deep color of a created emerald. A created emerald provides a clear, beautiful, colored gemstone that is affordable for anyone to own at a fraction of the cost of a natural emerald of the same color and clarity. 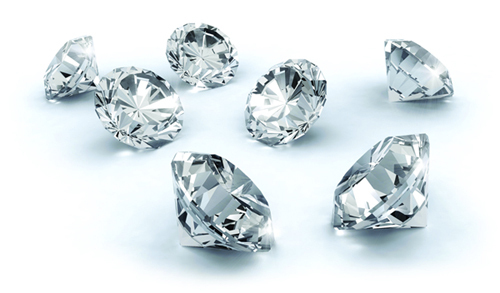 Diamonds – Possible treatments include laser drilling or clarity enhancement (fracture filled) using resins or glass like substances to fill inclusions. Irradiation can be used to vary natural diamond color. Diamonds that have been irradiated to change natural color are sold as irradiated colored diamonds. Emeralds – Early gem merchants in India sought to purify the color of the emeralds by immersing them in clear oils or paraffin. They found that the clear oils and waxes rendered surface fissures nearly invisible to the naked eye. Today, there are many sophisticated technologies with which to clarity enhance emeralds. In addition to the oils and waxes of ancient methods, clear resins are also used to penetrate open fissures surfacing in the gemstones. Emeralds, especially those from South America, which tend to have more inclusions than those from Zambia, are routinely oiled to lesson the effect of unsightly inclusions. For oil to enter inside the stone, inclusions must break the gem’s surface. If the emerald has inclusions, it is reasonable to assume that it has been oiled. If the oil in no way adds to the color of the emerald, this practice is not considered fraudulent. Care should be taken not expose stone to extreme heat. Ruby – Imperfections and impurities may be removed by controlled heating of the gemstones. Some rubies have fissures that break the stone surface, which are filled with a glass-like by-product of the heating process. Heat treatment is considered routine and permanent. It is safe to assume that all rubies you see are heated unless specifically noted. Sapphires – Since ancient times, man has evolved methods to enhance the purest hues of sapphire. This is often achieved by controlled heating of the gemstone to improve its clarity and color. Today, over 90% of the world’s sapphires are heat-treated. Heating sapphires is a permanent treatment, as lasting as the gemstones themselves. Blue sapphires are routinely heated, and if not for this fact, many people would never be able to afford or appreciate one of their own. It is safe to assume that all sapphires you see are heated unless specifically noted. Heat treatment is considered routine and permanent. Amethyst – Darker hues of amethyst are rarely enhanced, but sometimes if they are too dark, they are heated to lighten the color. Brownish varieties, when heated, magically turn into the bright yellow or orange colors known as Citrine. Heating amethyst is a permanent, common, and undetectable treatment and will last for the life of the gemstone. Aquamarine – While many aquamarines are greenish when mined, these gemstones are heated to enhance their blue color permanently. Assume most aquamarines to be routinely heat-treated. This treatment is considered to be permanent. Many aquamarine fanciers prefer the greenish hues, saying the greener tones remind them more of the sea. Topaz – Assume topaz stones to be heat-treated. Through a combination of irradiation and then heating, the color can be changed to varying shades of blue. This enhancement process is permanent. Citrine – It was long ago discovered that heating citrine, amethyst or other quartz would create the brilliant honey-yellow and bold Madeira colors we now associate with this stone. Most citrine are possibly heat-treated. Such treatment is common and undetectable. Pearl – Both natural and cultured pearls are routinely permanently lightened, dyed or irradiated to achieve a desired luster. Tanzanite – All tanzanite on the market are subjected to heat treatment. Though heating can occur naturally in the earth, most tanzanite start as light brownish-purple and must undergo heating to turn the deep, rich indigo blue that is in demand. Peridot and Garnet – No known treatments. Onyx – Assumed to be dyed. Such treatment is routine and considered permanent. Opal – Often sealed with a plastic cap to protect the stone from abrasion and drying out in extreme heat. This entry was posted in Jewelry, Jewelry Tips, Jewelry Trivia & Facts and tagged gemstones, Jewelry, treatments. Bookmark the permalink.